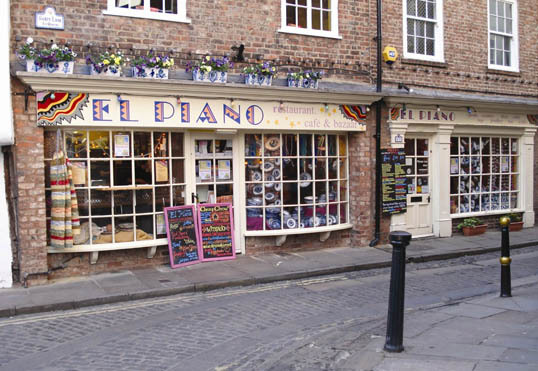 York 360Â° ~ El Piano York. 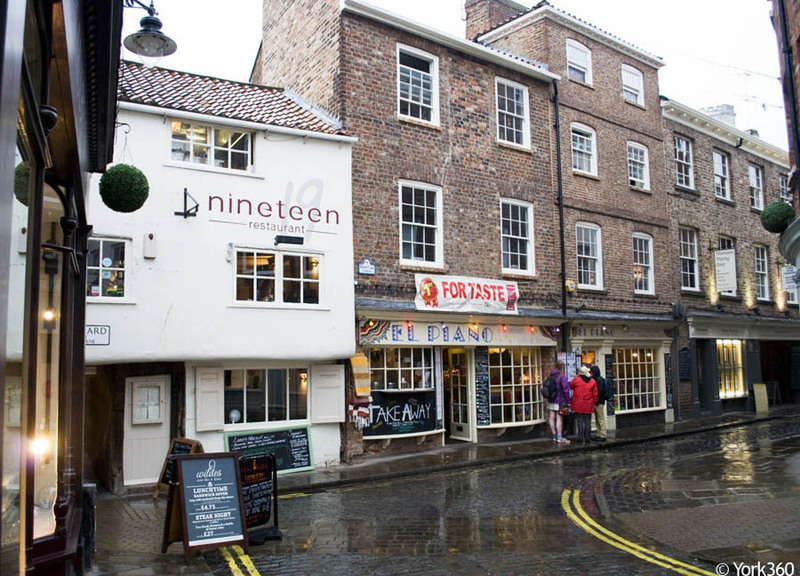 15-17 Grape Lane York, Reviews. 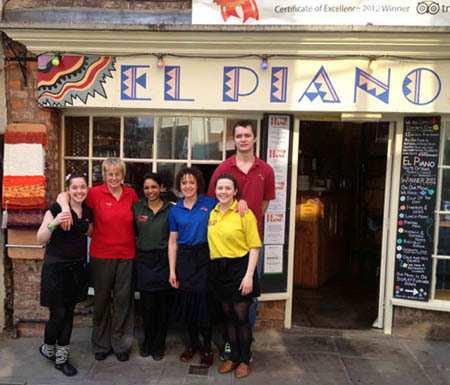 El Piano - award winning, fabulous food and friendly service offering a wholly vegan and wholly gluten-free menu from our medieval building in York city centre. 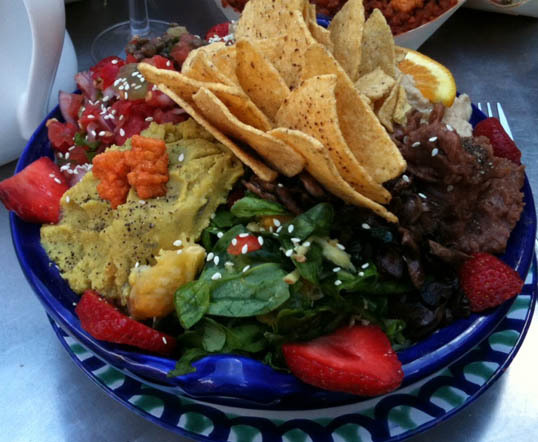 All dietary requirements can be catered for as everything (except corn tortillas) is made daily on the premises, using organic and local produce where possible. 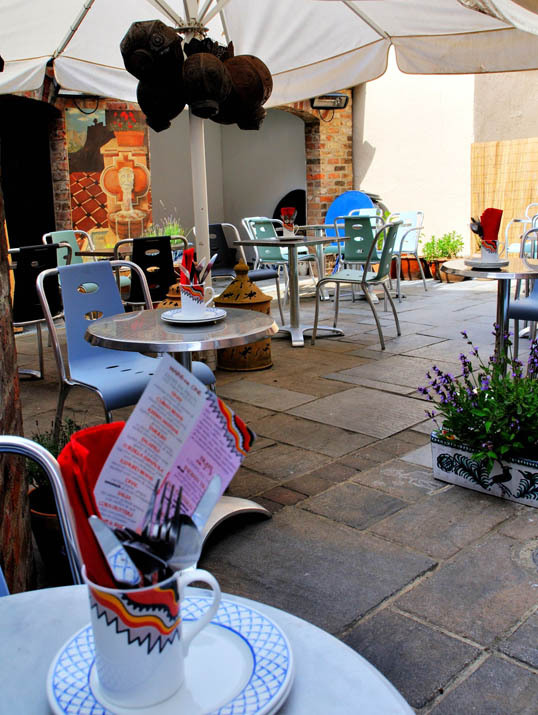 Dining is informal, tapas style, either eat in, al fresco in the south facing courtyard or take out from our WRAPIDO window. We have party rooms on the first floor catering for up to 50 people with a choice of buffets. These rooms are also offered for local group meetings, evening classes etc. You can also purchase our take home baking KITS, a range of El Piano cookbooks and beautiful AndalucÃ­a ceramics and rugs.